If you follow any Walt Disney World bloggers or instagrammers on social media, you will have heard of the Cupcake ATM at Disney Springs shopping district. 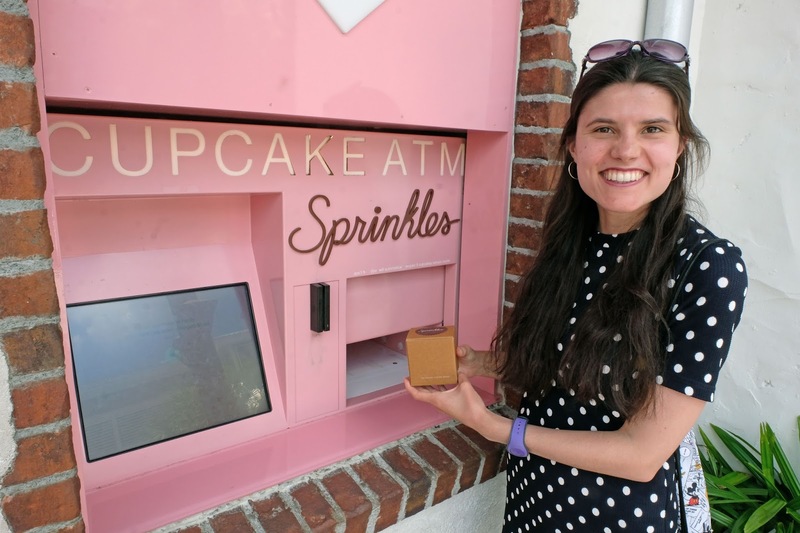 I briefly talked about the ATM in my post about new experiences I had at Walt Disney World this year, but incase you didn't know anything about it, Sprinkles Cupcakes have gained fame across the USA for letting their customers order cupcakes using pink ATM machines. 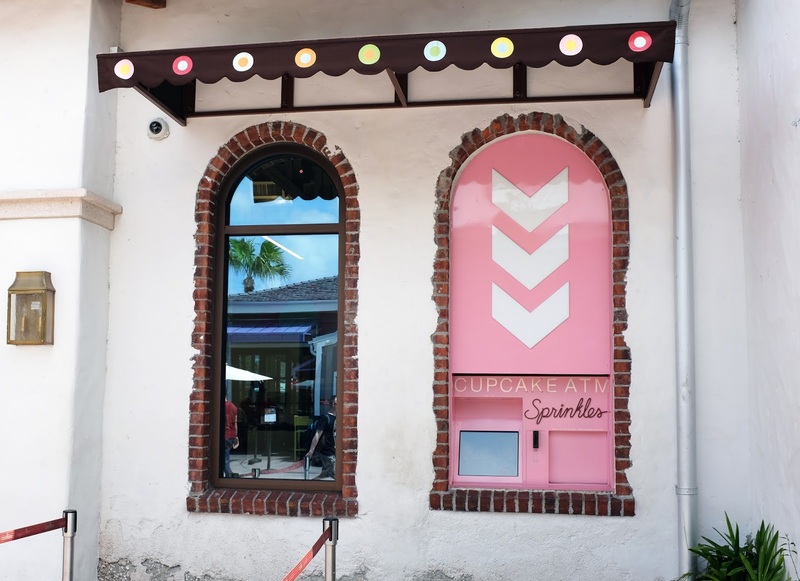 In May 2016 a Sprinkles cupcake shop and ATM opened at Disney Springs and since then it has become a must-do at Walt Disney World, with lots of people heading to Sprinkles just to get that perfect Instagram photo outside the ATM! After hearing everybody rave about Sprinkles, I decided to visit the shop whilst I was at Walt Disney World in June of this year and see what all of the fuss is about! 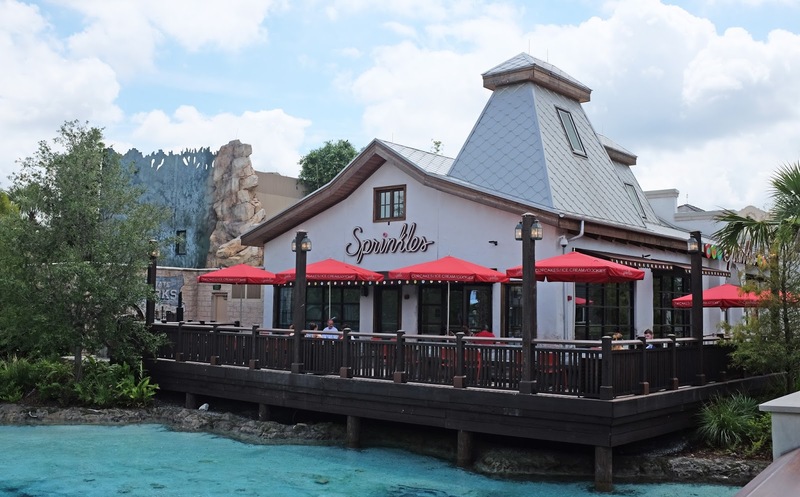 The Sprinkles building is really pretty and it overlooks a peaceful water area in Disney Springs. You can either order your cupcakes inside the shop or use the ATM outside the front. If you choose to order your cupcakes inside the bakery, you can see the cupcakes being made. There is a real art to cake decorating, so it was fascinating getting to watch the bakers. 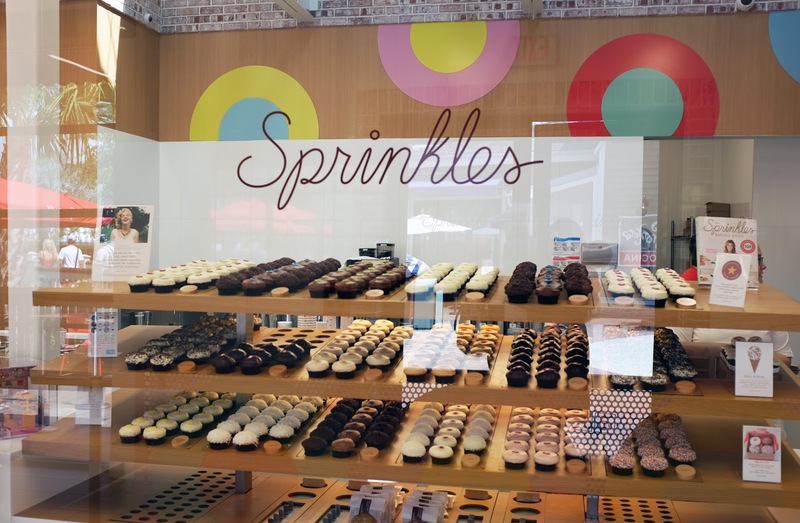 The flavours on offer at Sprinkles include: red velvet, salty caramel and lemon blueberry. I purchased a lemon blueberry cupcake and it tasted just like a blueberry muffin with lemon icing on top. It was delicious and very different to the typical cupcakes that we have at home, so it was nice to try something new. Individual cupcakes at Sprinkles cost just over $5, which isn't cheap, but Sprinkles is a fancy cupcake place and purchasing a cupcake there feels like a totally different experience to ordering from Starbucks or Costa Coffee. I like to think that you're paying for the ATM experience as well as the cupcake itself when you part with the $5! As a travel blogger, I really enjoy completing local must-dos and when I picked up my lemon blueberry cupcake, I made sure I asked my Dad to get a picture of me holding it! At Walt Disney World, the Sprinkles Cupcake ATM is a bit of a tourist attraction now. 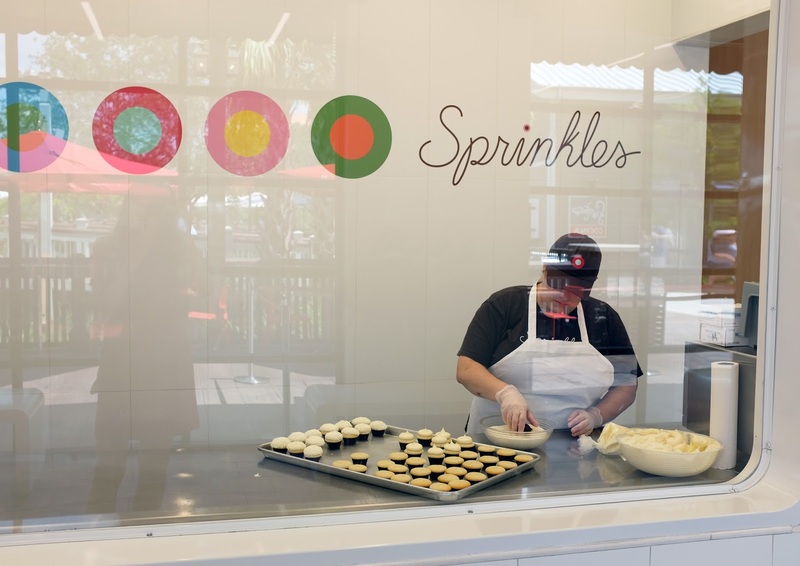 If you're in Orlando anytime soon, make sure you visit Sprinkles. Purchasing a cupcake from the ATM is such a fun experience! Have you visited any of the Sprinkles Cupcake ATMs across the USA?